Hello everyone! 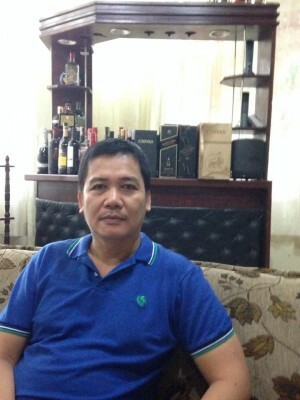 I'm Fernando, a 55 year old from Manila, Philippines. Previously, I worked as electrical officer on board international commercial vessels. But due to eye sickness I suffered during my last vessel, I was not able to go back on board again. So what I did is searched for online business opportunities. I've joined some programs but sometimes the earnings is not enough to compensate for expenses. Until I came across with WA. I made some research, read reviews and now here I am. With the tools, training and a helpful community, and dedication and hard work on my side, I am confident that I will be successful with this new field of endeavor. Thank you WA. Nice to meet you. I am currently living in Tagbilaran. Moved here from California almost one month now. Glad to connect with you. Your story seems to sound some what similar to mine!! I wish you all the best cause I am hoping for the best for myself as well!! Congratulations on your first sale!! Yes you are right. Having some fellow Filipinos inspire me more to continue what Im just started yesterday. Ferdie 1259, hello and well done! I wonder: how long did that take to happen after you joined WA? It took me almost 5 months before I made my first sale on my niche website. Hi Fernando and thanks for following me. I look forward to following your progress here in WA. Best of luck! Thanks for adding us to your network. Appreciate the help, and hope to find equal successes here. Shouldn't be a problem as long as there are people like you helping out. Hi Ferdie, thanks for the follow. I'm happy to follow you back. All the best and good luck with your online business. See you around. Hi, Ferdie. I'm thankful to become a part of your network and this wonderful community as a whole. Hope this online learning journey will serve as a stepping stone in gaining more opportunities that is geared toward success. Hi, Adel. If you need help, feel free to ask me or the community. Wishing you success in your online endeavor. Hey Ferdie thanks for the follow..."Live on Purpose"...Always! Thanks for the follow Ferdie, give a shout if you ever get stuck, following you too. Thank you for following back Fernando. Looking forward to working with you. thank you for your follow Fernando,it is appreciated. Thank you for following! I am honored! Hi Fernando. Thanks for the follow. I wish you all the best here at WA. Hi Fernando. You made a good move. This a real life success story. Is the Google listing monetizing for you? Thanks for the follow. Continued success in WA. Thank you for the follow. Good luck to you with WA. Thanks for the follow! I appreciate it and I'm glad we connected. Congratulations! ferdie1259, It sounds like you're making great progress here at WA. Good luck to your future. Thanks for following me Fernando. Hi there Fernando. Thanks for the follow. I hope all is going to plan for you here in WA. Wealthy Affiliate made it possible for everyone to connect, and have a helping hand no matter what. They turned the impossible into something possible. Keep working hard, and strive for greatness. Be awesome, and stay awesome. Hi thank you for following me back. WA certainly seems like a great place to be to learn and build businesses from your interests. Hi Fernando, thanks for following me. I wish you all the best success. Hi there and thanks for the follow. I wish you the best of luck here at WA and look forward in following your progress! Hi Fernando - thank you for the follow. I wish you every success here with WA! Hi Ferdie1259, Sorry, for contacting you so late, but I have been so busy here at WA with training. Thanks so much for adding me to your network! I'm following you back ... and wishing you all the success, you dream of here at WA! Thank you very much for following me. I wish you all the success you desire. Have a great Monday. Hello, Kyl. Thanks for connecting with me. Thanks for the follow. Sounds like you went through the same front door. I also had an eye problem that sideposted me from my former business. Glad to see you have begun the transition to another way to earn a living. You're welcome Ron. I had to find another way of earning and I hope WA is the way. Hello, kabayan. Welcome to Wealthy Affiliate. Nice to connect with you Fernendo, and wish you all the success and happiness that you desire. Hello Fernando, Thanks for adding me to your network. I am following you and wish you the very best of luck! Kyle and Carson should definitely be proud for bringing us all together around such common goal, no matter the circumstances. Wish you well, and talk to you later! Just wanted to say Hello and God bless you and your family! Meet me, "Christian Willie J. Henderson" on Facebook and let's shake hand properly! Hi Fernando, thanks for following and love your enthusiasm. I'm sure you will be as successful as you wish. Hi Fernando thanks for the follow, looking forward to an awesome journey with you! Dropped by to thankyou for the follow. We are definatly in the right place this time to acheive our goals and we will .I am confident of that it is a certainty for sure.I will enjoy and value being part of your network. Do you prefer Ferdie or Fernando? Glad to see that you've found an internet home. WA is mine also. Based on your blogs, it looks like you have been busy and are starting to achieve success. Hope that continues. Thank you for the follow Fernando. I look forward to working with you. Hi Fernado, Your doing the hard work.........good things will follow. Hi Fernando, Thanks for the follow, followed you back. I wish you great success here at WA. Have a blessed day! Hello pare koy, thanks for the follow. Followed you also. Good that you have settled with one website. You can concentrate on one first, and any idea coming up, just record it, so it doesn't get lost, then when you have learned how to make one website fly, you can add another one. Great to meet you Ferdie. Wishing you all the best. Thank you for following me Fernando. Best wishes. Hi Ferdie and thank you for the follow. All the best. It is a pleasure to meet you. Thank you for following :) I wish you the very best! Hello and thanks for the follow. I will follow you also and best wishes on your success here at WA. Hey there Fernando, thanks for the following and I’m following you back. Welcome to my network and our awesome community here at WA. I hope WA will make a big change in your life. Wealthy Affiliates is everything that it says it is and more! Thanks for the follow and good on your journey. Just dropping by to say thanks for adding me in to your network. Hi Ferdie, thanks for following. Hope you will have great time building your authority website, the training here is really very helpful and beneficial in building your online presence that leads to your online business. 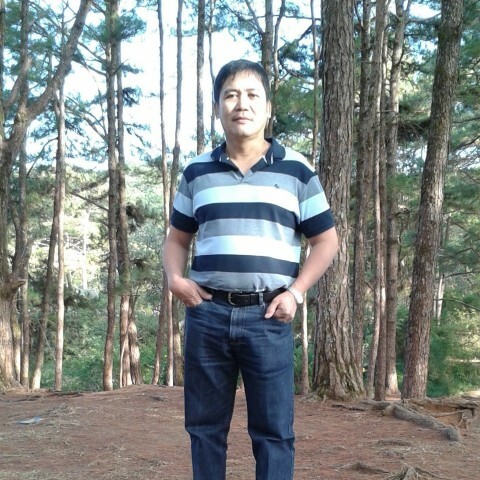 Thanks for connecting, if you need help,let me know "kabayan"
Ferdie best wishes. Thanks for the follow. Thanks for the follow and wish you success! Yes, these are the tools we need to gain access to global marketing online. Thanks for the follow and am happy to follow you into your success. Thanks for following me! Wish you the best of luck! Thanks for the follow Fernando. Hope all is well and may you enjoy your time here at WA. Thanks for the follow Ferdie. Best of luck going forward. Hi Fernando! Thanks for following. Thanks Ferdie for following me. Hope things are working out for you. I have now returned the favour by following you too. Hi Fernando and thanks for following me. Asawa ko is Filipina, I am not fluent but I am working on it. I came her to leave you a note. I am leaving a comment on your page and I just love the name of your site. Thanks. Thanks for connecting with me San. Are you residing in Manaoag? I'm from Umingan, Pangasinan. UH, now I am a little worried, how did you know I was in Manaoag, LOL. Yes we live there for now, we are taking care of her mother, she was ill but is back on her feet so we will be heading home soon. Been here nearly 8 months, sold our house in Laguna, still waiting for the check that is what is holding us here. I have been through Umingan but just driving to another city, Where are you now? Just read an article from your website, about your trip to Hundred Islands. I'm still here in Manila, staying together with my family. Maybe after graduation from college of our youngest son, then I and my wife will be staying in Umingan for good. It was a great trip and we had a lot of fun. We went through Umingan on our way to Aritao to visit family and stand as God parents at a christening. Sorry, I was just playing around about the knowing where I am, I think I have posted it in several places and if you google me it comes up too. Kamusta kabayan? Salamat naman at napasali ako sa network mo dito. Pagpalain ka nawa ng Diyos! Hello Beth! Kumusta ang buhay WA? Matagal ka na yata rito. Kumikita ka na ba sa mga websites mo? Wishing you more success! Two years ago ako nag-umpisa pero hindi ako palagi gumagawa kasi full time ako sa trabaho at nag-aaral ako. Yung ginagawa kong website kailangan ng maraming content kasi teacher resource siya. Hindi ko pa rin tapos. Pero hindi rin ako titigil dahil alam kong sigurado ang business kapag magpatuloy ako. Depende sa ginagawa mo. Yung iba anim na buwan pa lang kumikita na. Pwede mo silang sundan. Meron sa probinsiya namin teacher, at the same time blogger. Noong lumaki na ang kita nya sa blog niya nagresign na sa pagka teacher at nagfull time na lang sa blogging. Yun ang gustong sundan ng kapitbahay namin. That's a good example. Kaya sige lang. Sundan mo lang ang mga lessons. Napakadaling sundan. I'm sure kaya mo na yan. Kamusta website mo? May dalawang website akong ginawa pero konti pa lang contents, siguro magconcentrate muna ako sa isa para mas madaling lumaki traffic. Ganyan nangyari sa akin. Nag bootcamp ako. Pero di ko tinuloy. Gumawa ako ng isa pa. Divided ang attention. Kaya balik ako sa isa. Tyaga lang hanggang sa kumita. Thanks for the follow, I followed you too. Thank you very much for the follow Fernando. Hello, Fernando! Thanks for the follow, and best wishes for your work here at WA. I'm following you too. 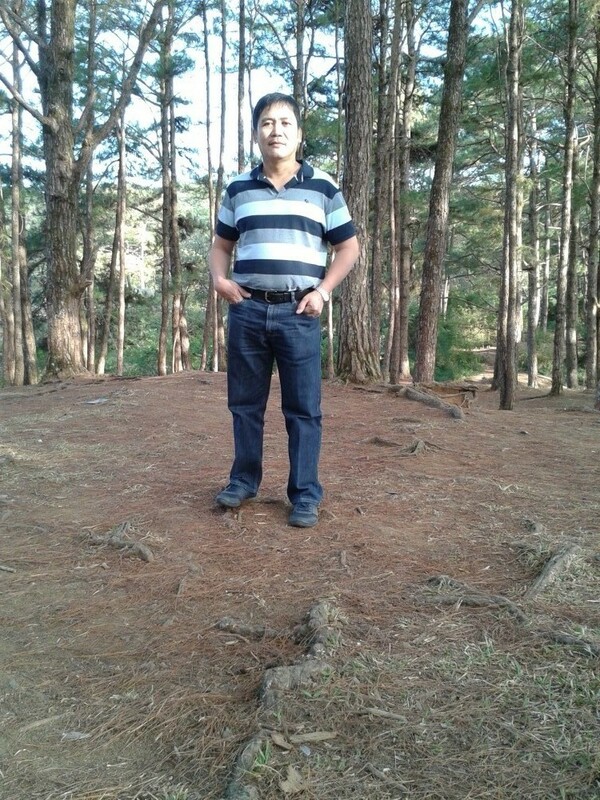 Hello Fernando, Great to have a person with your experience in my network! Thank you for the follow, I returned the favor. Thanks for the Follow. I am now Following you. Take time and stck with it. This stuff works. Let me know if I can help you. Hi Fernando, welcome to WA and thank you for the follow, I have returned the compliment. With that attitude I am sure you will succeed in your online ventures. Thank you for the follow :) I hope you accomplish everything you wish to. Hello Fernando, thanks for the follow and it's nice to meet you. Thank you for the follow. It's awesome to see a fellow filipino in here. Maraming salamat sa pag dagdag mo sa akin. Alam ko na nasa tama tayong lugar para matoto sa online/affliate marketing. Pina ka importante yong mindset at saka determination. Sa pagunlad mo. Mabuhay! Hi Fernando, thanks for connecting with me. Hello Ferdie ... thank you for the follow. Sorry to hear about your eye sickness ... hope it can be treated. By now you know that you have landed on the best internet business training platform on the web. It's a steep learning curve, but if you are dedicated and persistent you will make it work. I wish you the best on your WA journey. Hi Fernando, thanks for the follow, best of luck to you. G'day Fernando and thank you for the follow. Hard work will always win out here at WA I wish you all the success. Thanks Ferdie1259 for the following. Thank you Fernando for the follow and all the best! Thanks Ferdie for the follow, I have done the same in return. Wish you much success. Welcome Ferdie. Best wishes on your success here at WA! Thanks for adding me to your network. I will do the same. Hi Fernando. Nice to meet you . Thank you for the follow and if there is anyway I can help just let me know.Much success to you here at WA!!! Hi Fernando, thanks for the follow and welcome to the WA community. Hello Fernando,and welcome to WA. Hello Fernando, just like to thank you for the follow! It’s nice to know you’re a part of the WA family welcome. Feel free to contact me up if you ever need assistance with anything, I'm here to help and I love to connect. I look forward to following your success. Hello, am new here please can someone tell me important of upgrade to premium and it's a one time payment or renew. If you really want to learn how to build a business online, better upgrade to Premium. You can have access to all the training, help and support within the community. Hi Fernando, thank you for the follow, wish we all success here . Hi Fernando, thank you for the follow, wish you the best on journey here at WA. Thank you for the connect Ferdie. Best wishes in your endeavours...I'm following you back! Hi Fernando, welcome here at WA , wishing you tons of success with your online ventures,take care ,Johan. Hello Fernando. Thanks for the follow and welcome to WA. Best wishes to you. Hi Fernando - thanks for the follow! Hi Fernando, thanks for the follow. Hope you're enjoying WA and wish you lots of success. Hi Fernando and thanks for the follow it's nice to meet you. I wish you much succuss. I'm still pretty new myself, but if I can Be of any help on WA let me know. Greetings, Fernando! I wish you the very best in your efforts to change your career direction! Hi Fernando, thanks for the follow and good luck with your online journey. Thanks for the kind gesture. Wishing all the best in your endeavour. Hi Fernando, thanks for the follow. Thanks for the follow, I'm following you too. Wishing you the greatest success. Hi Fernando . Thanks for the follow mate . Hi Fernando, thank you for the follow and wish you big success! Thanks for the follow, wishing you much success in WA. Hey, Fernando! Thanks for the follow, great to meet you and best wishes for your success here at WA! Thanks for the follow Ferdie!! Aloha Ferdie, Mahalo (thanks in Hawaiian) for the follow. Good luck in your quest for success!! Don't give up!! Thanks for the follow! Appreciate it. Hey Fernando, thanks for the follow. Best wishes for every success! Thanks for the follow Ferdie. Best of luck. it is easy to build a website so that I can ask questions. from you. Sometimes, it will take time for them to answer my questions. Hello Aileen, thanks for the follow. Yes, you can build a website easily.Just follow the training. If ever you have questions, don't hesitate to ask me. thank you Kuya. Asan ka sa Atin? Hey Fernando, thanks for the follow. Good luck to you. Steve. Hi Fernando and thank-you for the follow-I wish you much success! Hi Fernando and welcome to WA, you will really enjoy it here, if you are in need of help at any time the community will always help including myself. Hello Freddie, thanks for the follow and luck to you here.